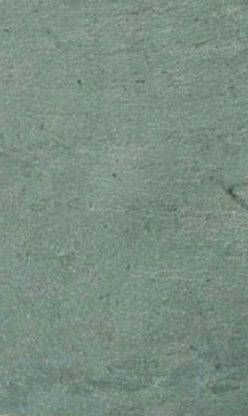 Jade Green Slate is a medium to heavy texture stone that is accentuated by heavy chamfered edges. 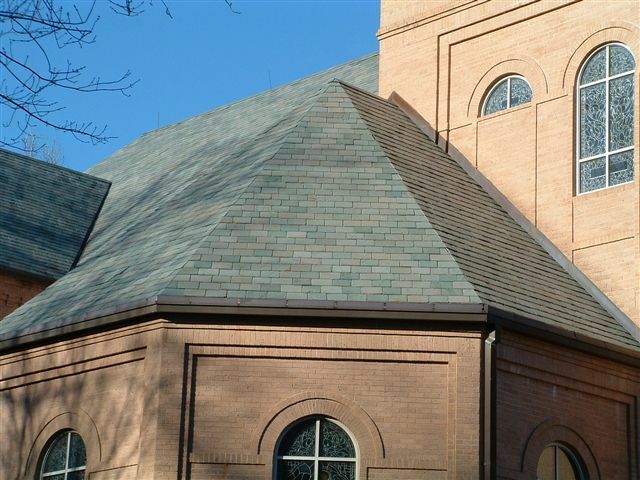 These are created by the high density of the stone and result in heavy shadow lines between the slate. 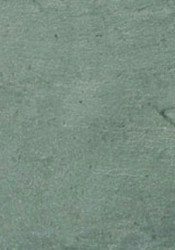 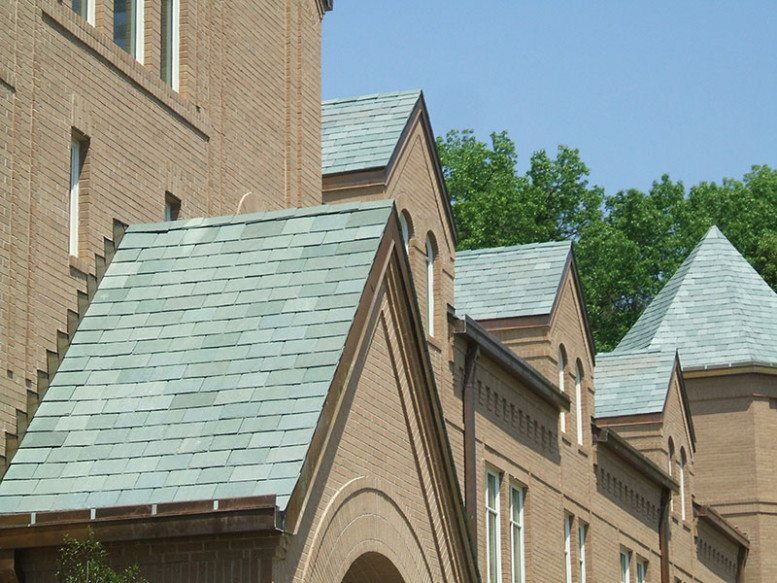 The color is a rich deep jade green and has high light reflectivity compared to other slates, creating a brilliant and beautiful green roof, especially in bright sunshine.